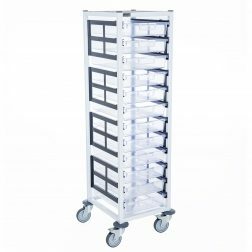 Medical trolleys are designed for compact, organised and mobile storage of files and records in the healthcare sector. 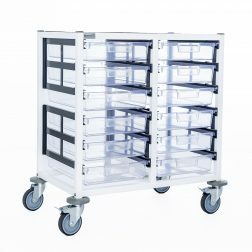 Hospitals, clinics and surgeries can benefit from the A4 and A3 trays in trolleys of varying sizes. 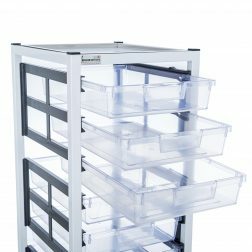 Also suited for the storage of medical equipment.